Now in their 5th year touring, the incredible ‘A Touch of Little Mix‘ are the closest soundalikes to the real thing! With their high energy show, this tribute band will perform all the biggest hits complete with impressive visuals and plenty of audience interactive fun! After being the first group to win the hugely popular television show the X Factor in 2011, Little Mix have gone from strength to strength are are currently the most popular girlband of the moment! Complete with exciting fan favourite costumes, this tribute show ensures an accurate portrayal and has the true impersonations of the sounds, look and feel of the sensational Little Mix. Featuring all their biggest hits including ‘Shout Out To My Ex’, ‘Black Magic’, ‘Power’, ‘Touch’, ‘No More Sad Songs’, ‘Wings’, ‘Salute’, ‘Secret Love Song’, ‘How Ya Doin’, ‘Change Your Life’, ‘DNA’ and many more! 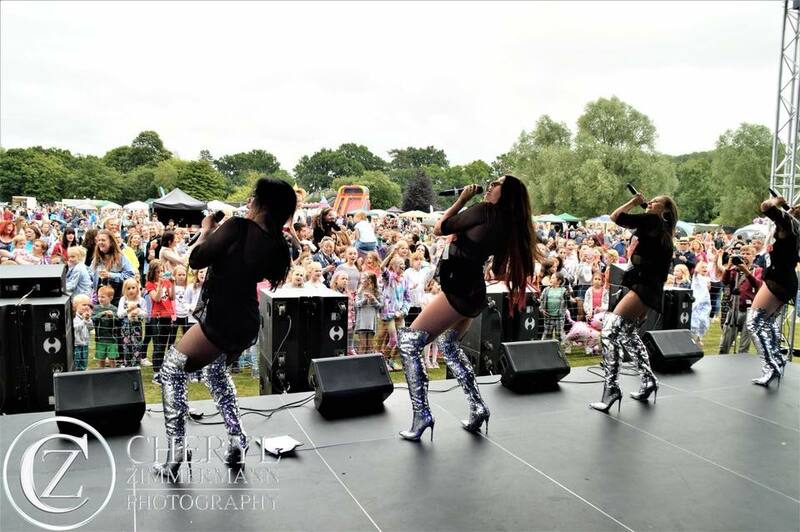 Prepare to spend the show singing and dancing in the aisles as these girls rock the stage with their Little Mix inspired fun and magic especially for all you die hard ‘Mixers’ our there! This is a show not to be missed by the fans! 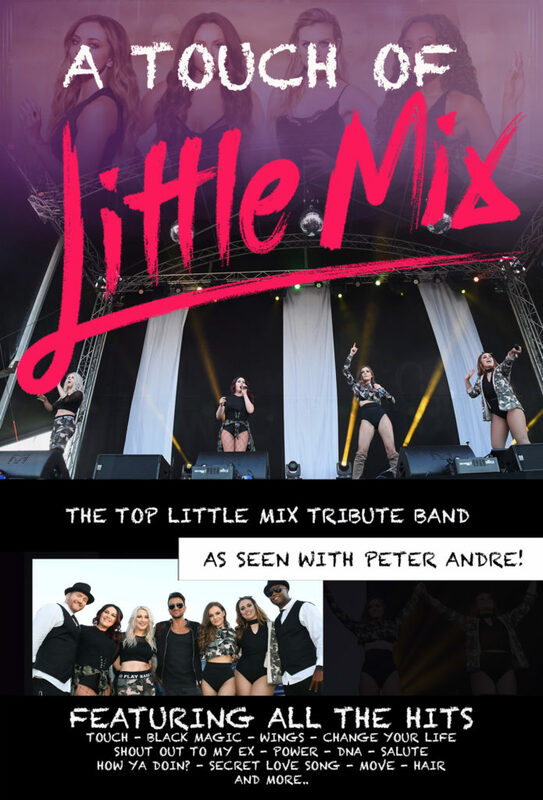 The Little Mix Experience can be booked with either playback or a live backing band. There is also the option to book backing dancers to help complete the Little Mix live look. This spectacular tribute act comes complete with magnificent stage lighting, fast costume changes, quality sound equipment and a sound engineer.